There is always room to tackle avoidance and evasion. And there are always powerful arguments for changing rates and thresholds. But no one watching, as technology changes the shape of our economy, could rationally conclude that the response lies in tinkering around the edges. The challenges come from the growing mobility and concentrations of wealth. If you think you have the answer, ask how it squares up to them. We must start not with, ‘what do we tax’ but ‘how can we tax’? If an idea is to spring from the pages of academic treatises and take fiscal form it must be practical and deliverable. 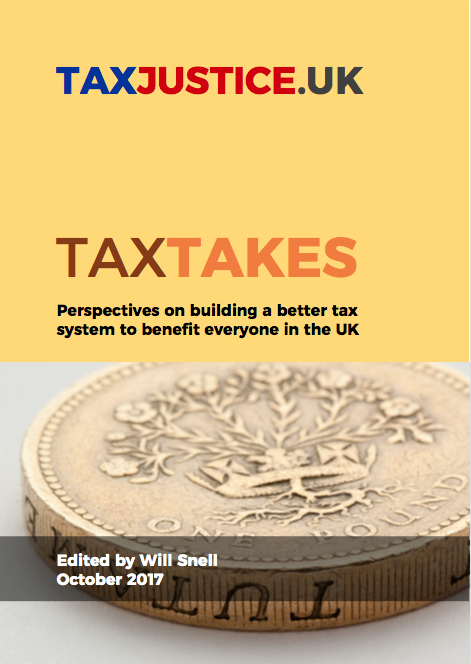 On corporation tax, ignoring that capital is mobile, that our tax system is built on the old world of bricks and mortar, that the tax systems of different countries dovetail together poorly, all of this is a kind of wilful blindness. Steep rises in corporation tax rates without addressing these structural issues won’t end well. The best solution is international co-operation – where states club together to tax corporations and to share out the fruits. Fill the joins between systems, close the gaps into which income leaks away untaxed, and avoidance becomes much more difficult. It is only then that higher rates will translate directly into higher receipts. The EU is embarked on exactly such a project: a “common consolidated corporate tax base”. But if we choose to absent ourselves from the best systemic solution we will need to become more imaginative. A very substantial source of avoidance – practised by the usual suspects, Google, Facebook, Airbnb and others – involves selling into the UK from tax havens abroad. We should tackle this with a Foreign Sales Levy on large companies who engage in that practice. Base yourself here and you can pay corporation tax – but if you choose to game the system by selling to UK customers from tax havens you will pay a substitute for the corporation tax you are dodging. Of course, a tax on corporate turnover throws up unfairnesses but – a universal answer to those who complain about measures that combat tax dodging, this – those unfairnesses are the consequences of choices made by taxpayers. If you don’t like the turnover tax, operate from within the jurisdiction. Higher taxes on income are – by and large – another triumph of political rhetoric over reality. The evidence in the UK that raising rates will produce meaningful additional receipts is slim. But quite aside from this it hard to understand why our tax system should prefer the wealthy to higher earners. The trend should be to cut taxes on income and increase taxes on wealth. We must respond to the tendency of wealth inequalities to outpace income inequalities. Some improvements to the way in which we tax wealth are relatively straightforward to introduce. Why are taxes on earned income considerably higher than taxes on the income fruits of wealth? Bring the latter up to the level of the former – not at all difficult to do – and we would generate very substantial additional tax receipts and in a rational and progressive fashion. But other improvements will require more radical action. We do have a wealth tax – when income is passed between generations – but state sponsored loopholes for particular classes of assets render it insignificant as a revenue earner. What it does instead is create false markets in those asset classes – their value is inflated by their use as tokens to pass wealth tax free between generations. This is bad tax - and bad economics. Their value is decoupled from and no longer dependent on their efficient economic use and, as tokens, they change hands frequently. And we must begin work on untangling the fiscal Gordian knot. We must look afresh at an annual wealth tax. The march of technology has two inevitable consequences. One is huge and growing concentrations of wealth. And another is disruptions in the labour market. The former must be used to ameliorate the latter. If society is to cohere into the future there is no alternative.